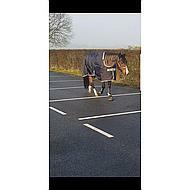 The Bucas Smartex Rain (Turnout Light) is a 0g outdoor rug from the top segment of Bucas. The blanket keeps your horse at a comfortable temperature at an outdoor temperature between -0 ° to + 14 °. 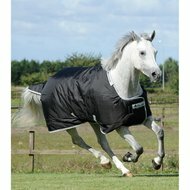 The blanket is made of the strongest, waterproof ballistic nylon. 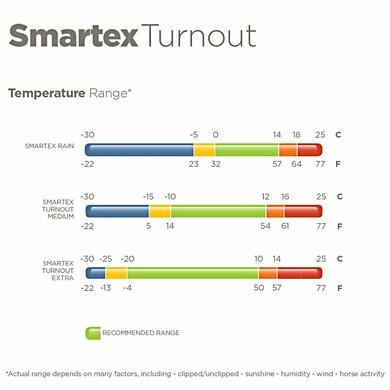 The filling of the Bucas Smartex Extra Turnout is thermo-bonded, ie the filling is integral with the Stay-Dry lining and not like most blankets are locally stitched to the lining. 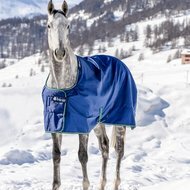 This lightweight blanket makes the laying and changing of several blankets totally unnecessary and your horse enjoys optimal comfort and freedom of movement throughout the winter. 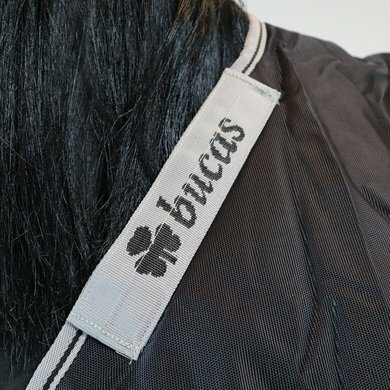 The Bucas Smartex Extra Turnout has an extra soft filling on the chest, shoulder pleats and a smooth nylon lining that provides extra comfort and reduces friction. 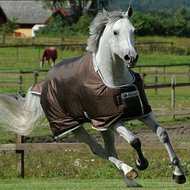 The blanket has a click 'n go front closure with an overlapping Velcro breast section for optimal protection, elastic leg girths and handy Velcro features to attach a Combi-Neck neck piece if desired. 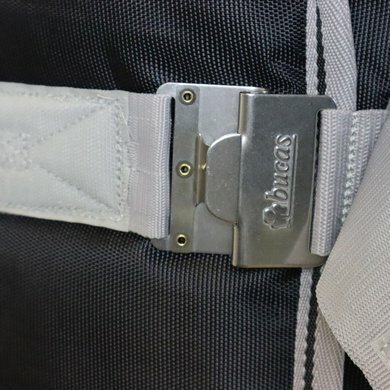 In addition, this blanket has a tail flap, and elastic belt straps. The special filling ensures that the blanket is equally warm over the entire surface and that after many washes it is just as thick and warm everywhere. 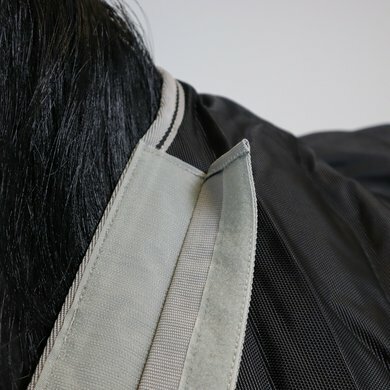 The unique Stay-Dry lining works like a sweat blanket. 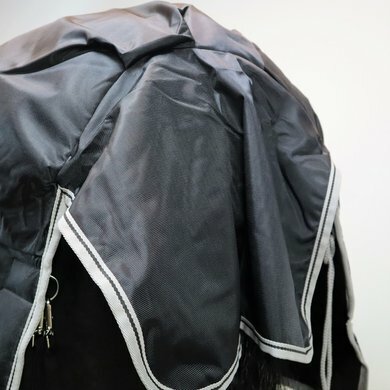 The lining transports moisture immediately outside so that the blanket always feels dry and comfortable even if you put the blanket on a wet horse. 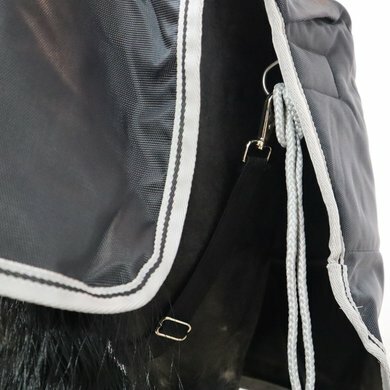 The intelligent system in the lining fabric ensures that the lining, which is in direct contact with the horse's skin, stays dry and the moisture is transported to the outer layers of the blanket. 96% would buy this product again. 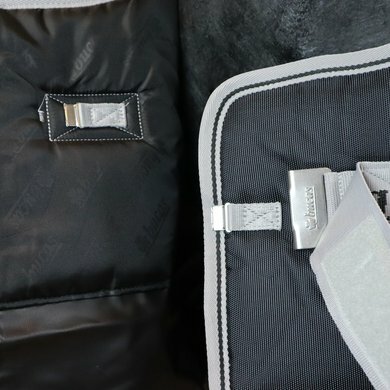 strong blanket, fine closures, waterproof, warm and yet light, stays good, fit over the back could have been a little better, is very straight. But it is the best winter blanket I have ever had. If he has walked in the rain for a very long time, he lets moisture through the chest and bottom, but then it must have rained really long and hard. 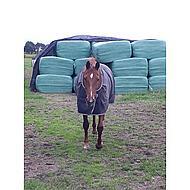 Simply the best blanket ever, by temperature range 0-14 degrees, I need only this blanket, no annoying change, just TOP! Fantastic product. 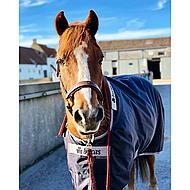 Sweat and stable blanket at the same time, so no blanket stress and more after driving. Solid material and fit. 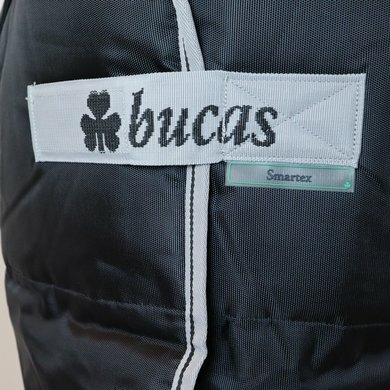 Question: I'm interested in the Bucas Smartex Rain. Does that have a fleece inside. What's the name of the code 40 S. What does the blanket cost me? How do I measure correctly? Many Thanks! 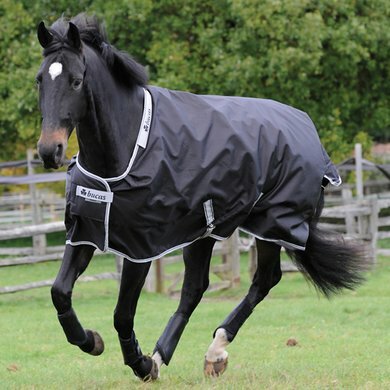 Answer: It is a Stay-Dry lining that resembles a fleece lining. 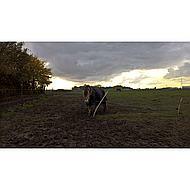 You choose the correct blanket size for your horse, if you measure the back length of the animal, or the descender. The sizes are given in back length cm / inset cm. 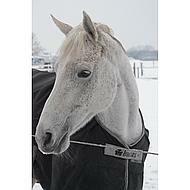 You get the blanket for the price, which is indicated in green letters, so currently with 40% off the regular price. 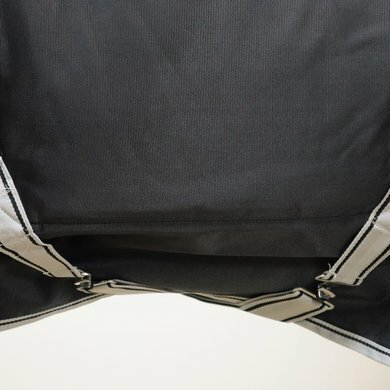 Question: Is this (black) smartex rain with the Clickn Go system and the webbing on the inside of the blanket (like the steered photo of olav) instead of the closure of the webbing on the outside of the blanket? Answer: The abdominal girths are on the inside of the blanket. Question: how do I know the size again? I have previously ordered a smartex but do not find it in my past.